We all know what an unbelievable tool for everyday life a cellular phone is. Having had them around for so long it is unimaginable how difficult life would be without them. But despite all the advantages that they bring they can also be an awful nuisance, and not only that they can also compromise our security and privacy. How annoying is it when you are in a restaurant, cinema, or shop to be surrounded by a crowd of people all talking, much too loudly, into their phones. Sitting in a cinema or theatre when the person next to you, or in front of you spends the whole performance texting – why is it that our eyes seem to be glued to their screen trying to read what they are texting! High quality shops would love to stop customers from using their phones inside. They disrupt other customers and yes! There is nothing more annoying than just being on the verge of tying up a sale when the customers phone rings and they just pop out to take the call, and that is the last you see of them. There is also the issue of covert Surveillance devices that now use GSM listening to monitor targets. So many of the UHF listening devices that were around not so many years ago have been replaced by GSM monitors. 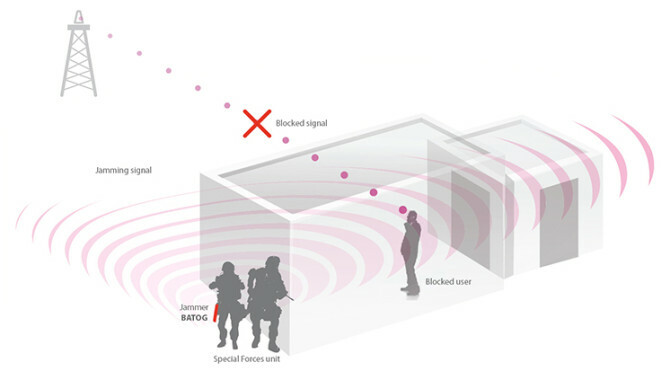 Cellular Jammers would prevent this type of surveillance and would act as a highly useful counter-surveillance device. Despite all of this, cellular jammers are strictly illegal for sale or use within South Africa. Why? Because the public services are worried that they may interrupt radio traffic for the Police, Fire Brigade and Ambulance services. Most hand held cellular jammers are pretty low power and would not cause a problem but the high power jammers certainly could do. Cellular jammers definitely have a place in the protection of Government Ministers and senior Military personnel. Cellular phones have been used on many occasions in the past to activate roadside bombs used in terrorist attacks. This is why whenever you see a Governmental convoy one vehicle usually has an array of antennae which is sending out an omni-directional field of signals creating a vacuum around the vehicle which no signal can penetrate to detonate a bomb. Ground soldiers fighting in war zones, such as Afghanistan, where they are exposed to improvised explosive devices also have jamming equipment to keep them safe. Without this type of cellular jammer deaths and injuries could be substantially higher. There can be little doubt that cellular jamming equipment has its place in the world. Certainly in governmental and Military circles it is essential. There is still a question as to whether SAIDSA and the government have been too rigorous in their enforcement of regulations. Perhaps a middle course could be found that would satisfy domestic, corporate and governmental requirements. It remains to be seen. Please note that this article is for reading purposes only. If you have any queries please contact us.